Not long after my husband and I got married, it came up that I had little interest in visiting Hawaii. (I know, I know…) It’s not that I wouldn’t go if presented with the opportunity, but I’ve never been much of a beach bum. Visions of lying around on semi-deserted beaches, however beautiful, just didn’t seem worth the effort it would take to get there. Case in point: did you know that Honolulu is closer to Tokyo, Japan, than it is to Cincinnati, Ohio? Neither did I, until I mapped it. You guys, that’s not kind of far away. That’s mostly to Japan. You know, if you round a little. After many years of marriage, I was at least a little intrigued by the idea of getting to the islands eventually, but not until we had explored the rest of the world. It’s a little fuzzy how we ended up booking a trip before accomplishing that feat, but as I sit here looking back at pictures I miss it so much it almost hurts. When the Disney company announced plans for Aulani: A Disney Resort and Spa, people were seemingly appalled that it would be on the island of Oahu. “Everyone knows” that Oahu is over-populated, run down, and not even worth visiting when there are better islands right next door. Except “everyone” who says that is wrong. 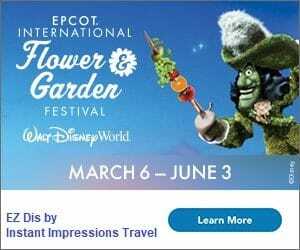 I found myself defending Disney’s decision to build there and our decision to visit only Oahu, as if our trip would be okay in spite of the location. Instead, as incredible as Aulani is, the unsung hero of our trip is the island itself. 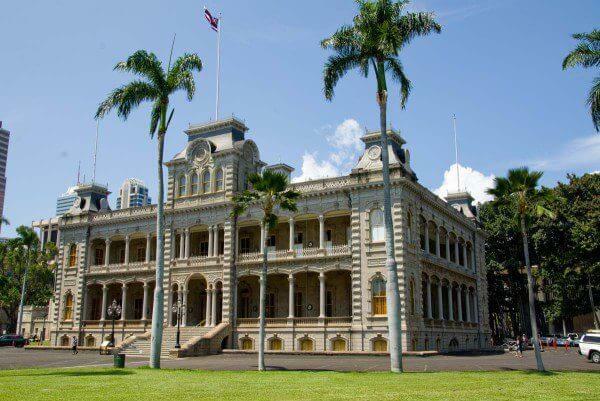 Iolani Palace – built in 1879 and now a National Historic Landmark – was the official residence of the last monarchs of Hawaii, and the only official state residency of royalty in the country’s history. It is open to the public, and now shares history from the monarchies as well as more recent history. It also housed the state’s first electric light system and flush toilets – always a fun family conversation topic! I’m sure it’s true that each of the Hawaiian islands has a completely different feel. It has to be, because on just this one island, each beach you go to might feel completely different than the next. I think Laniakea (also known as “Turtle Beach”) is a great place to get a few different experiences in one location. We spent the first half of our visit climbing on giant lava rocks. The second half was spent going the opposite direction, on an endless blanket of sand. We saw a few turtles, but it’s not unheard of for visitors to see a dozen or more. Watching sea turtles, or “honu”, is unique in Hawaii. An initiative called “Show Turtles Aloha” has educated people how to behave around the honu, and volunteers are around during peak seasons and times to help visitors get really close to the turtles for a great experience, but also treat them with respect. The Honu is considered a guardian spirit and a sign of good luck. They can been seen all around, from petroglyphs in ancient lava fields to, well, every single souvenir shop. 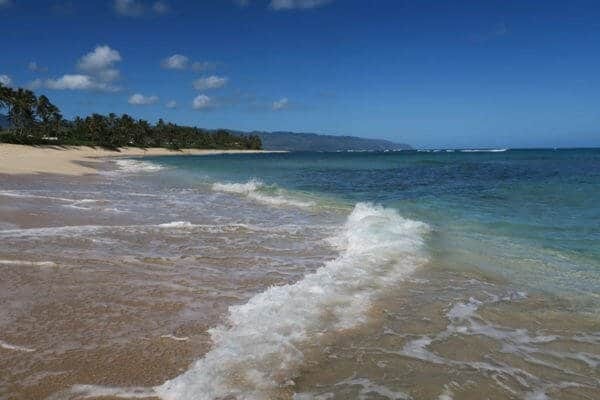 If anything is the polar opposite of bustling Waikiki, it’s Haleiwa. The charming surf town screams surf culture, but also has art galleries and local boutique shops. It epitomizes the laid-back feel of the islands. More importantly, it’s home to Matsumoto Shave Ice – which may on its own be worth the price tag of a Hawaiian vacation. 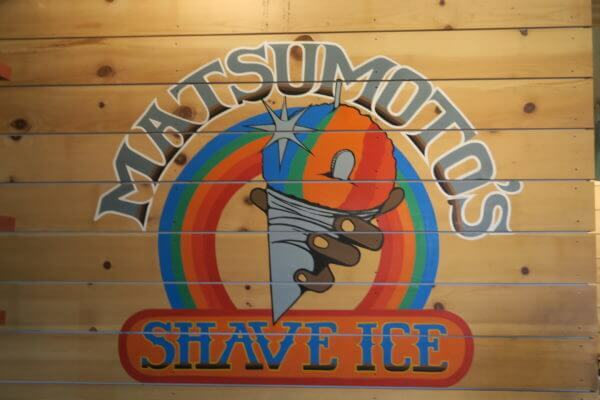 Matsumoto was established in 1951 and serves more than 1000 shave ices in 38 flavors (including Pickled Mango) on busy days. I really don’t like “sno cones”, but Hawaiian shave ice is no sno cone. Try it with condensed milk on top… but maybe get the Azuki beans (Japanese red beans cooked with sugar and water) on the side. If you’re traveling in the winter (November-March), check out the nearby surfing beaches. They’re some of the most famous in the world and swells can reach more than 30 feet high, which is just ridiculous to imagine someone surfing. The PCC is the most well-rounded attraction we visited, and we learned so much here I could probably write a book. During the day, visitors can explore six interactive “villages” for live entertainment, family activities, and cultural learning experiences. Every person we encountered was passionate about their heritage (from Hawaii, Samoa, Aotearoa, Fiji, Tahiti, and Tonga) and eager to share their stories. We sampled food, took a ukulele lesson, went cane fishing, made crafts, and made some of our favorite memories from the entire trip. I realize that this one may require a little extra planning (and, you know, a little extra money). 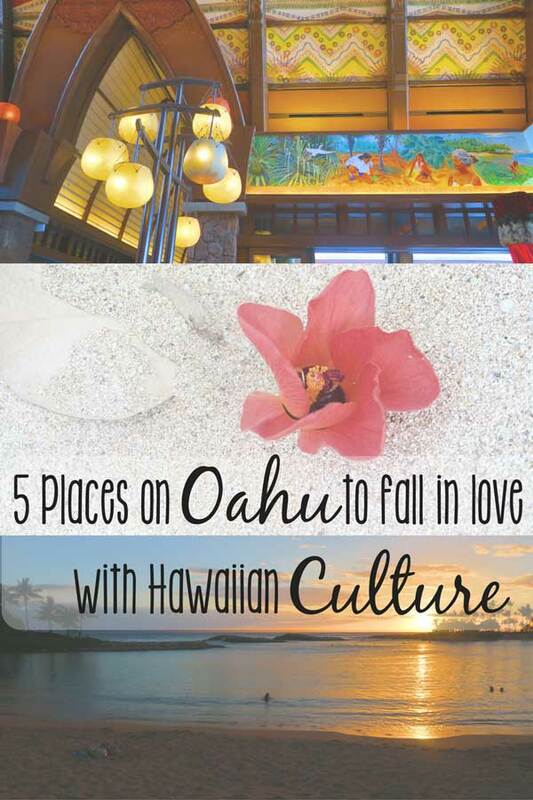 If you can f even a night or two there though, you can learn and experience more of the Hawaiian culture than nearly anywhere else in the same amount of time. 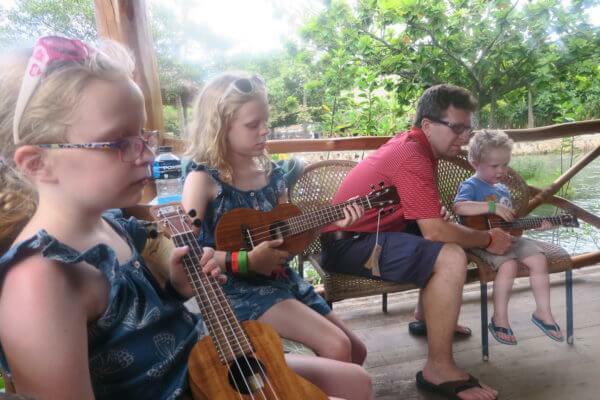 When locals talk about Aulani, they rave about how authentic and immersive it is. Throughout the resort you can learn the language, make Hawaiian crafts, learn the significance of hula (and try it yourself), and so much more. 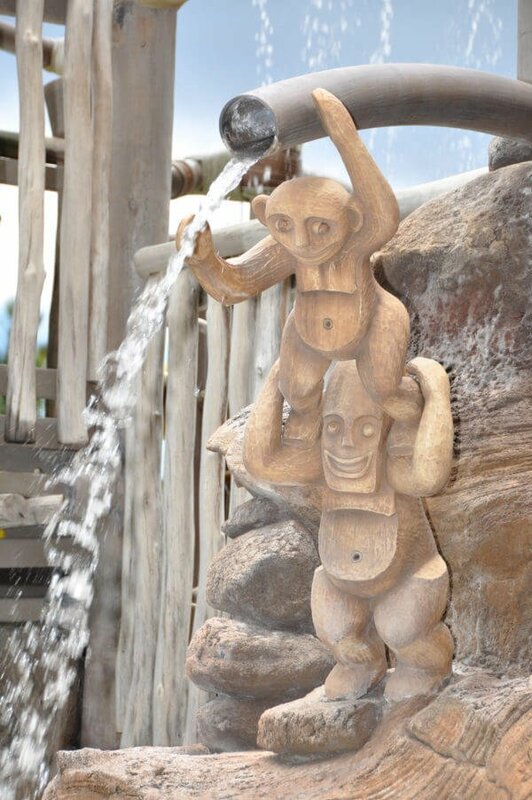 The most memorable and unique part of the story told at Aulani, though, is one of the menehune. Menehune are the ‘little people of Hawaii’ who, according to legend, roam the land at night. They are often thought of as mischievous, but also credited with doing wonderful deeds in secret. 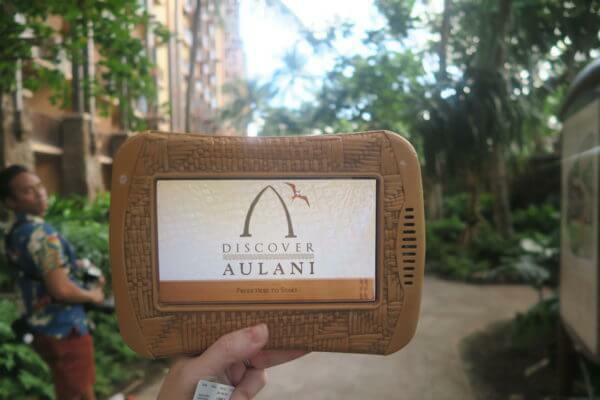 The “Menehune Adventure Trail” at Aulani uses an interactive game tablet to make magic around the resort. Along the way, you also learn countless stories about Hawaii’s history, traditions, legends, geography and geology. I realize that we should probably visit the other islands, but I also know that we didn’t scratch the surface of what Oahu has to offer. The people of the island are known for their hospitality, spirit of ‘ohana (family), and taste for adventure – and we are so grateful we got a glimpse of that everywhere we went. I can’t wait to get back… though I suppose we still have the rest of the world to explore, too.